As one of Ashford’s leading clutch repair specialists, we are the number one stop in Ashford to have your clutch problems looked at. We have been replacing and repairing clutches for customers in Ashford and the surrounding towns and villages since 2005, and have gained a competitive edge in parts supply, quality, technical fitting knowledge. Not sure your clutch is functioning properly? If you feel that your clutch is slipping, or that you are having problems with hill-starts, come in for a FREE clutch diagnosis. Alternatively you can call us to book an appointment. Our experience is not solely limited to working on cars, vans and 4x4s but also light commercial vehicles. Whatever the vehicle give us a call. 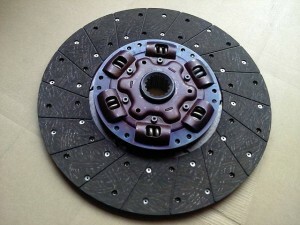 Does your clutch tend to grab or feel overly sensitive? This can be caused by a number of issues from problems with the linkage or pedal preventing a full return, issues with the hydraulic system, misalignment problems or the clutch arm is failing to operate properly. Are you experiencing ‘clutch judder’? This again can be caused by problems similar to the clutch grabbing above and always warrants a thorough inspection of the clutch system from the pedal, the linkage all the way to the clutch itself. Is the engine accelerating but with no speed increase, possibly with the addition of a burning smell? Could be that your clutch is slipping, this also would require a thorough inspection as you may have a defective pressure plate, broken springs, linkage issues or it’s just the case that the clutch has been adjusted incorrectly.